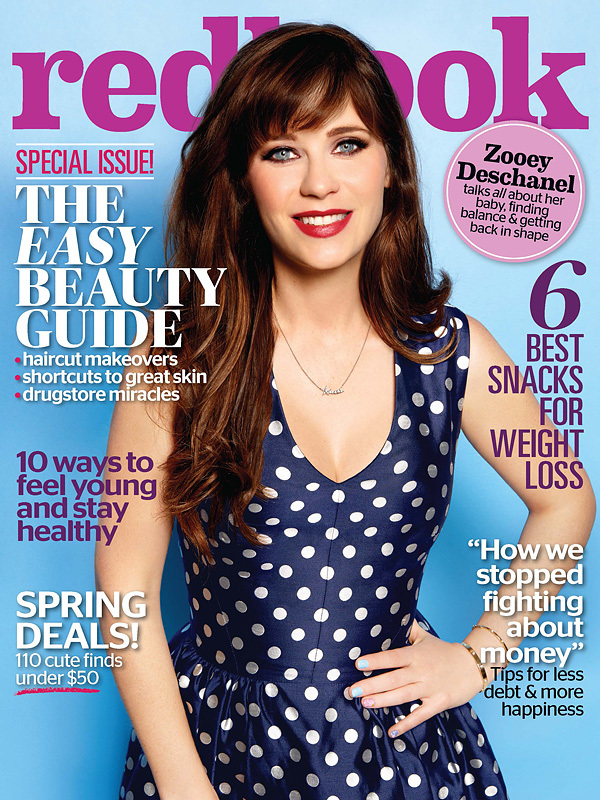 Zooey Deschanel covers the May issue of Redbook magazine while opening up about giving birth to her daughter Elsie Otter in July and how she has changed as a person. Deschanel who is married to Jacob Pechenik says since giving birth her focus has shifted both to herself and her growing family. The Good Girl actress says she didn’t worry about losing the baby weight after giving birth and that moms have plenty of reasons to take their time. To read the full cover story pick up the magazine on newsstands now.